I call this a citrus yoghurt cake, rather than specifying any particular citrus, as I think almost any variety of citrus would be great in this cake. I have flitted between classic lemon and then bergamot, and both work really well. If you have read a little of my blog or follow me on Instagram, you won’t be surprised to hear the bergamot version is my favourite! Bergamot anything would be my favourite, but thats not to say the classic combination of lemon and yoghurt would be playing second best. Not at all. 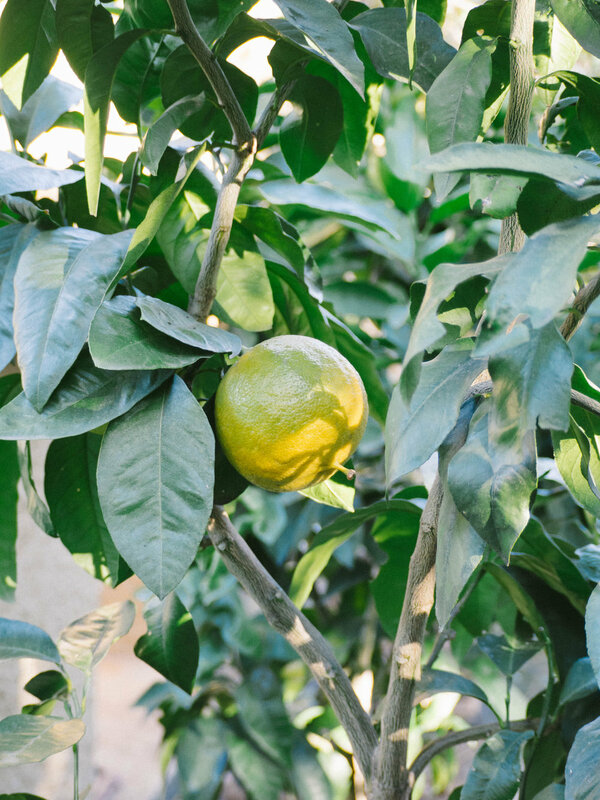 A mixture of lemon and lime would also be nice, and even going for a blood orange when they are in season would be great. I will be making this cake a few more times this Winter, as it is my favourite thing to bake with citrus and we have an over supply here at home. We got at least 30 or 40 lemonades from our tree, 4 very large bergamot and I also bought 10 bergamot online from Mountain Yuzu - as the name suggests their main crop is yuzu, however they are also the first people I have come across that grow and sell fresh bergamot in Australia (much to my delight!). The reason I really like this cake, is that the combination of the oil and yoghurt gives the cake a moist crumb that really retains the juicy-ness of the fruit. Whichever citrus you choose to use will be the hero here, and nothing else but a cup of tea is necessary to enjoy a slice (or two!). Pre-heat oven to 170 degrees Celsius, and grease and line the base of a 23cm round cake pan. In a medium bowl, whisk together the flour baking powder and baking soda. In a large bowl, whisk together the caster sugar, yoghurt, oil, eggs, citrus juice and zest. Whisk until combined, then add the flour mixture a third at a time whisking until just incorporated after each addition. Pour the batter into the prepared cake tin and bake for 30 minutes or until golden in colour and a skewer inserted in the centre comes out clean. If not cooked after 30 minutes, continue to check the cake at 5 minute intervals until it is done. Allow the cake to cool in its tin for a few minutes, before transferring to a wire rack to cool completely. Don’t worry if the middle of the cake has dipped a little, it will still be perfectly cooked inside. To make the icing, whisk the icing sugar and 2 tbsp of the citrus juice together, adding more juice to get the right consistency if needed. You want the icing to be smooth, but not overly runny or it won’t cover the cake evenly. Spread the icing over the cake, allowing it to drip down the sides a little.